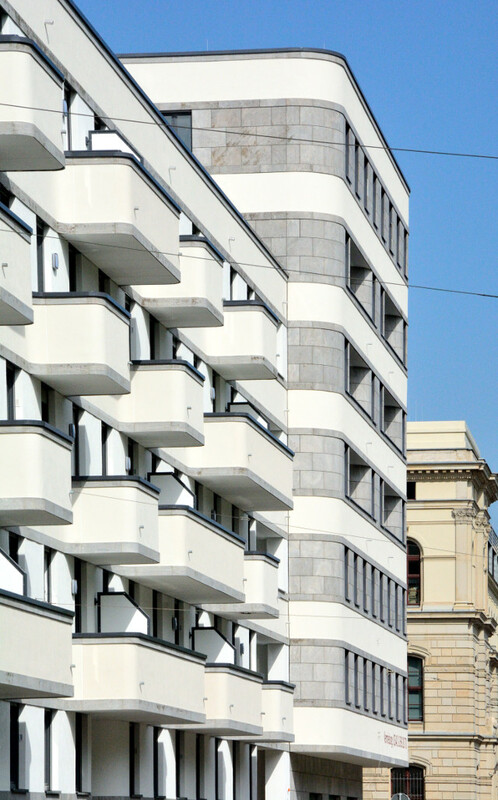 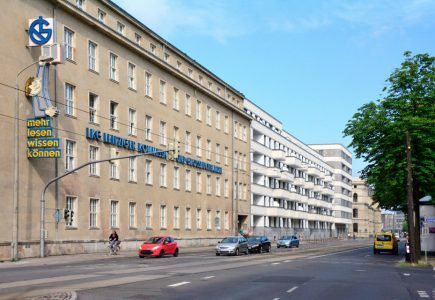 The LKG street block in Leipzig. 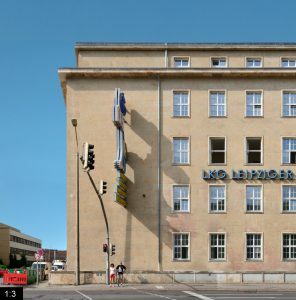 The so-called LKG Carré lies along Prager Strasse southeast of Leipzigs’ city centre on its main street towards the Monument for the Battle of Nations (Völkerschlachtdenkmal). 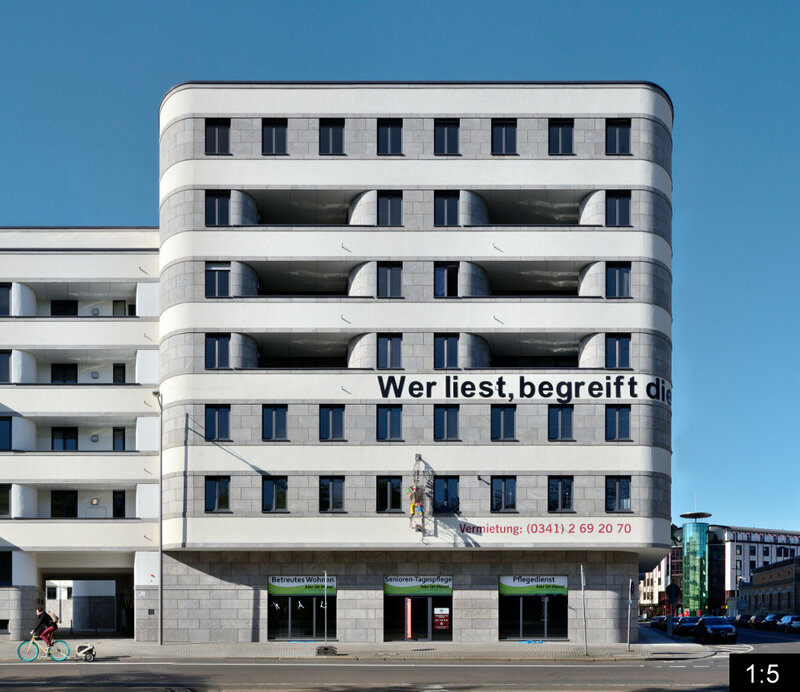 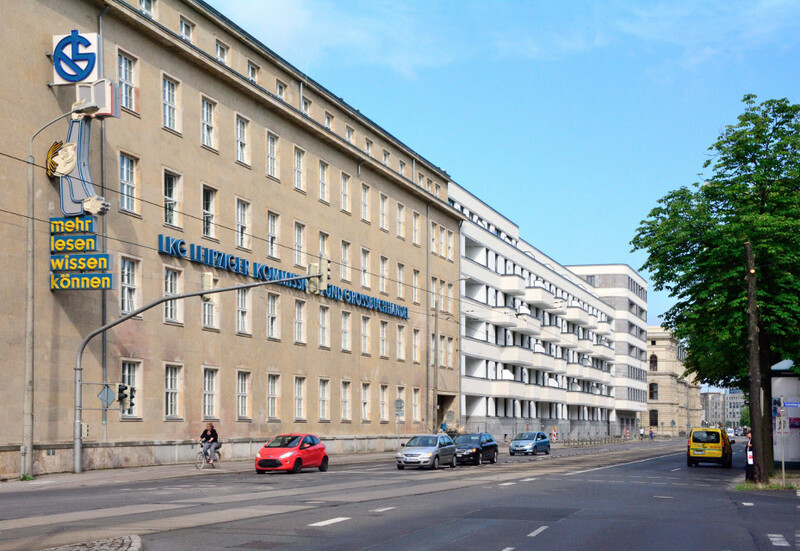 LKG refers to the building of the Leipziger Kommissions- und Grossbuchhandel (LKG) from the 1930s, which occupies the left side of this block. 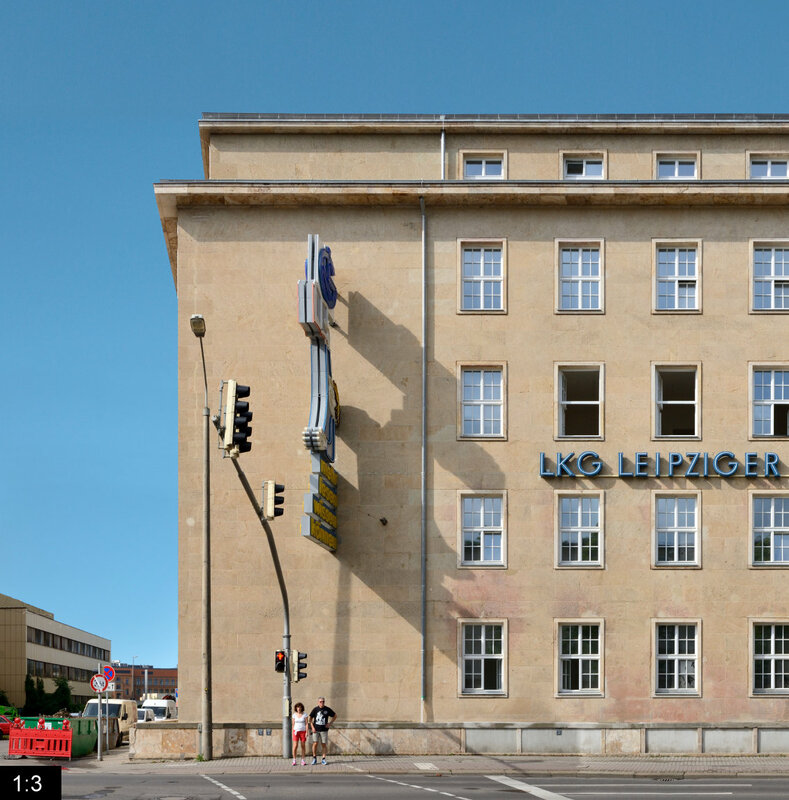 The LKG company still resided here until after the fall of the wall. 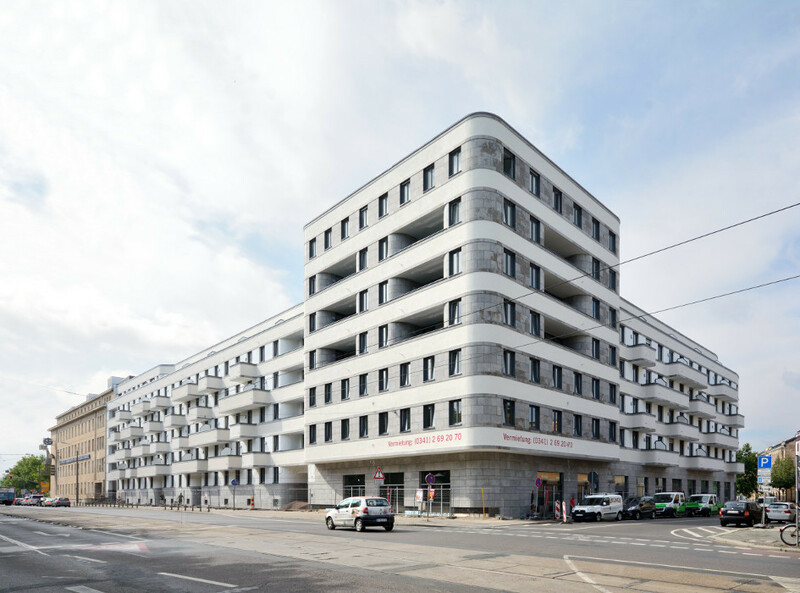 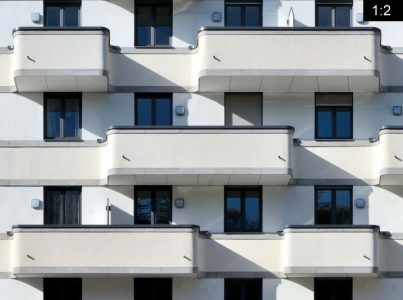 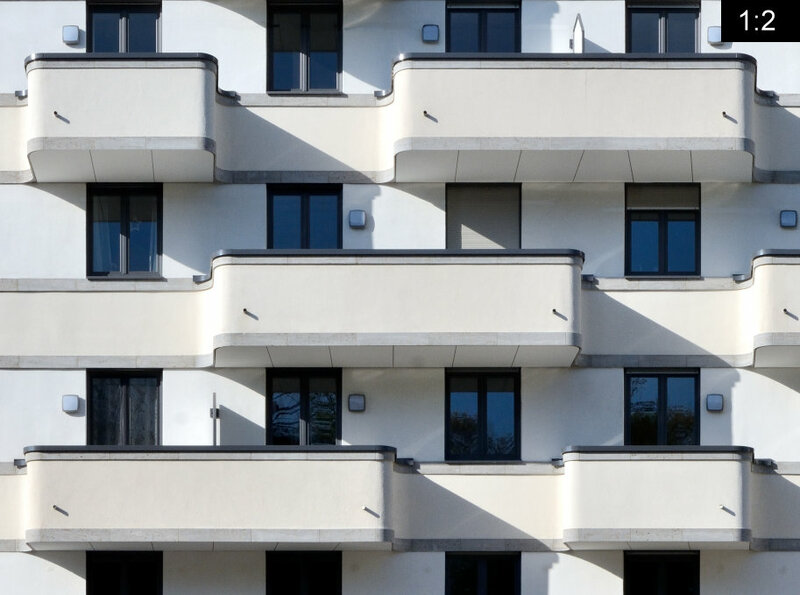 Now the complete street block has been redeveloped and additionally a new building by architects Homuth+Partner was errected, all of which mainly house flats today. On the left edge there is still an old neon ad from GDR times with the words “mehr lesen wissen können” (engl: more reading knowing mastering) while on the new building at the right edge there is also a line going around the corner which goes “Wer liest, begreift die Welt und denkt selbst” (english: Those who read understand the world and think themselves). 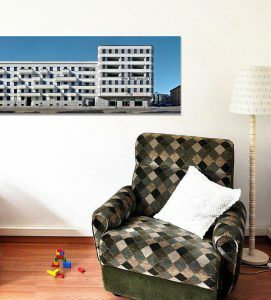 Below it there is a metal sculpture of a seated figur reading by Michael Fischer-Art. The reference clearly points towards the history of the street block, its location in the Graphische Viertel of Leipzig close to the House of the book (the former location of the german bookseller house) and to Leipzigs’ history as a book and book fair city. 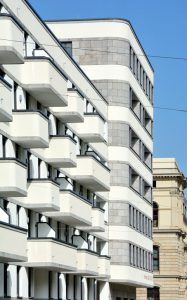 Among the detail images on the right you can also see a view of the side of the block around the right corner along Stephanstrasse.